lime, cement, marble and quartz sand and epoxy resin. Floor Marmorino is suitable or use in areas where you want natural materials and simple lines. For this reason, it’s ideal for a minimalist environment because of smooth, uninterupted continuity. 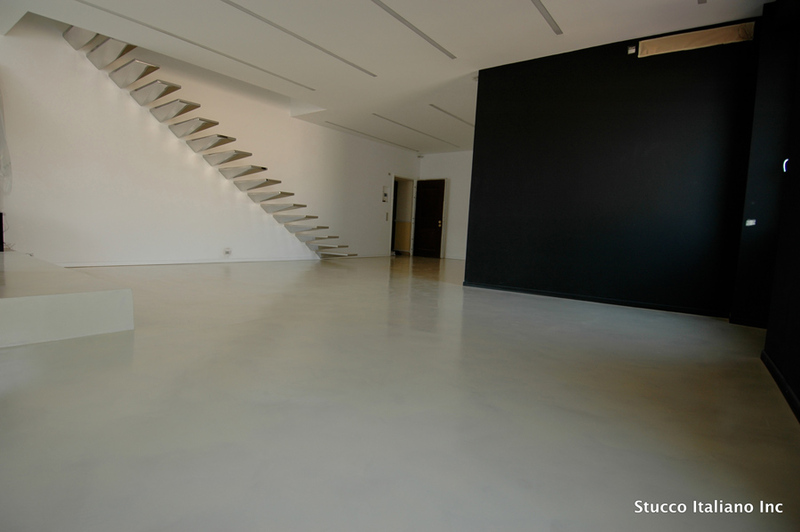 Floor Marmorino is suitable for any area: bathrooms, kitchens, stairs, hallways, or bedrooms. It has a lightly polished finish with a transparent look. for 24 KG: 100-150 sq. feet for 2.5 coats.